I have been struggling with making bread off and on for the last decade. 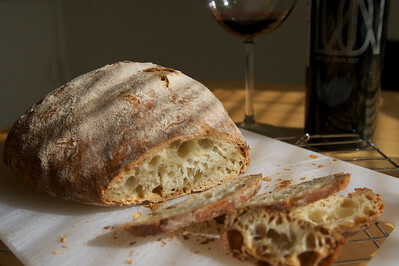 I had given up but Mark Bittman’s “no-knead” bread got me going again. After several attempts that resulted in uncooked center, I think I have found my mojo … It is no Acme but works fine accompanied by soups and in recipes like bread puddings and garlic bread.